YOGA - good for every BODY! We believe Yoga can benefit all body types and sizes, male and female, newborn to seniors. Learn how mindful movement synchronized with deep breathing can form a bridge to deeper states of self awareness, relaxation, and inner peace. 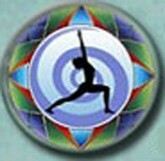 We are proud to work collaboratively with others to promote greater holistic wellness of mind, body and soul for all. Namaste! I have moved to Port Angeles and am currently teaching at Poser Yoga in Port Angeles and Sequim. It was a pleasure and a privilege to teach classes in the Olympia area for six years! I am currently teaching two new classes at the Port Angeles studio - Saturday Noon Back Care Yoga and Wednesday 10am Senior Yoga. We have completed the two 8-week sessions on Tuesdays at the new Sequim studio, however we are continuing the 4pm Back Care Yoga as a regularly scheduled drop-in class. Please sign up at www.poserstudios.com. Namaste! Please see Steve’s Schedule for these and all the yoga classes I will be teaching.